This past month I’ve been working under the influence of not only prescription drugs and my own drive during all those long nights spent beating away on a laptop, but also under that of two men: John Hughes and GG Allin. On the surface the two have almost nothing in common, but I leaned on them both during September while I banged out the first draft of my new novel. John Huges is one of my writing heroes. He was prolific, worked fast, and did most of his writing from 10 at night until 5 in the morning. We share the same hours, and a love of troubled kids trapped in high school. On nights when I wanted to quit, when it was already past four in the morning, I’d look at the picture I have of him in my office and go on. GG Allin, along with other 70s and early 80s punk bands, set the tone for my novel. The characters are bad kids, and no one tried harder to do wrong, suffer more and beg for hurt than he did. He could take the pain. In front of the keyboard, tired and stressed, I wanted to as well. It took 37 nights (8/23-9/28) of long runs to complete the first draft of my new novel Bad Kids from Dream Schools. At the end I had 281 pages, and 93. 606 wds. It’s the longest book I’ve ever written, and nearly enough to complete the National Novel Writing Month challenge twice. Now the cutting begins. Then sentence level, then word level, edits. I hope to have the entire thing down to around 80,000 words by November 1st. I have an agent eager to see it, and anyone who knows about publishing understands that there’s a dead zone between mid-Nov to mid-Jan due to the holidays. If it wasn’t for that, I wouldn’t gone this far in the first place. The novel took up the majority of my writing time, but I did do take time to do four edits and complete my review of Rob Roberge’s The Cost of Living which came out in Atticus Review last month. My review of Alissa Nutting’s novel Tampa was also published in Necessary Fiction this September. 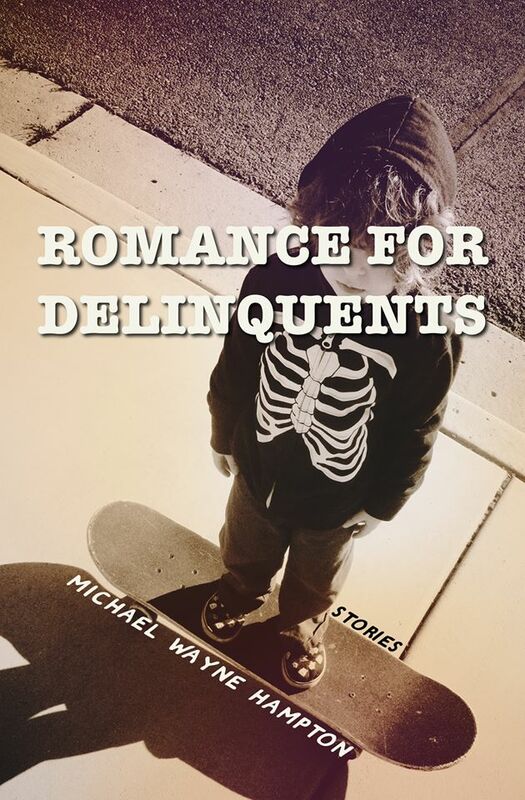 Aside from my writing the novel, last month I completed the final edits on my short story collection Romance for Delinquents which is set to be released 1/1/14 from Foxhead Books. I also had to make a suggested blurb contact list, which is as awkward as it sounds, but now I only have to send in an author photo and I’m more or less done until the book is released. Oh, and for those of you who don’t follow me on Twitter (@motelheartache) this is the awesome cover Ryan Bradley did for my book. I couldn’t be happier with it. Speaking of Ryan, Artistically Declined Press was honored this week by Flavorwire as one of the “25 Independent Presses That Prove this is the Golden Age of Indie Publishing.” You can read the complete list here. I’m thrilled that ADP got repped, and stoked they will be releasing my novella Roller Girls Love Bobby Knight in or around May of next year. Artistically Declined Press was also mentioned, due to my own bad behavior, on the Other People Podcast when my letter was read at the start of episode 209 last month. September is gone, and the leaves are starting to change at last. October will be filled with editing for me, but after that I’m taking a break for awhile. I need one. I have three books set for review, and more than a dozen I want to read. November 1st isn’t that far off. I can take the pain til then. More projects in the works after I take the first few weeks of November off . There’s always more to do.